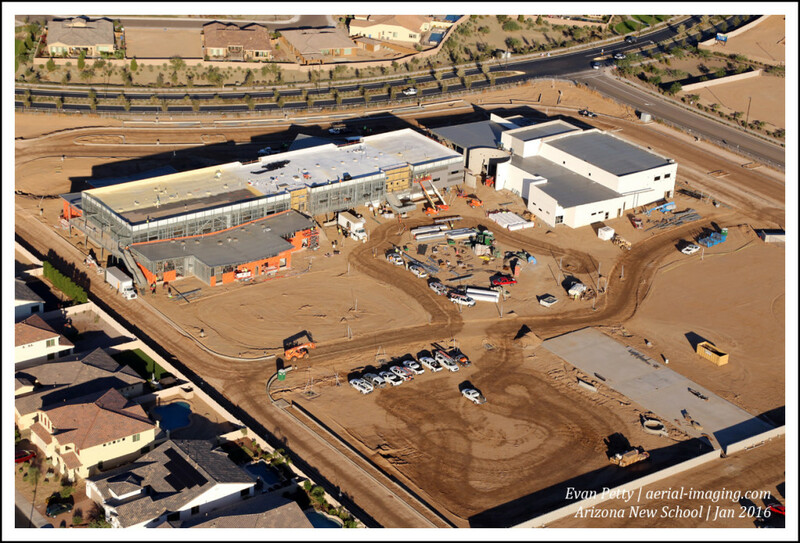 New school construction in Phoenix. Our high resolution shots from a helicopter give our clients views from all directions. This angle is recreated with each aerial update.